If a duck can paddle in it, it’s a wetland. If a duck can waddle on it, it’s not. If only wetlands could be defined as simply as this, wetlands issues and legislation would be less muddy. In this inquiry-based activity, students will conduct field studies in a local wetland, and learn how land use decisions and legislation affect wetland areas. This is one of 96 activities that can be found in PLT’s PreK-8 Environmental Education Activity Guide. To get the activity, attend a training either in person or online and receive PLT’s PreK-8 Guide. Below are some supporting resources for this activity. Engage students in real-world applications of STEM (science, technology, engineering, math) education. Conservation Connect is an online video series developed by the U.S. Fish and Wildlife Service, National Conservation Training Center designed to encourage students, ages 8-16, to spend time outdoors, observe wildlife in their local habitat, and learn more about natural resource conservation careers. Topics include endangered species such as Bats and the Monarch Butterfly as well as green careers, such as conservation law enforcement. Watch the educator’s introductory video to learn how the series can be used to supplement existing environmental education curriculum, citizen science projects, and STEM content (science, technology, engineering, and math). The overview highlights the recovery of the American Bald Eagle, one of conservation’s biggest success stories. Success Stories is an interactive map of the United States that documents the 40-year impact the Endangered Species Act (ESA) has had on preventing species extinction. Students in grade levels 6-12 can use this interactive map to learn more about endangered species. Developed by the U.S. Fish and Wildlife Service, the success stories map celebrates the accomplishments of conservation efforts under ESA. Read more about species brought back from the brink of extinction such as the Canada Lynx (WY), Swallow-tailed kite (GA), and the Casey’s June beetle (CA). Water is one of our most important resources! Earth’s rivers form watersheds to carry freshwater to communities and all living species around the globe. These Beautiful Maps of the World’s Watersheds, artistically mapped by geographer Szűcs Róbert, highlight the world’s permanent and temporary streams and rivers. The stunning images depict the dominant drainage systems of the world’s water. This web toolkit is designed to help middle, high school, and college educators and students – as well as citizens, conservationists, municipal decision-makers, and researchers – advance their knowledge and stewardship of fresh water. Developed by the Stroud Water Research Center, the toolkit enables users to share watershed-model scenarios, watershed-monitoring data, and watershed-management stories as an open, collaborative community. Learn more and access archived training webinars for educators at www.wikiwatershed.org. Have your students learn alongside Alyssa, a young girl who gets to see firsthand how scientific research can help protect endangered and vulnerable species. 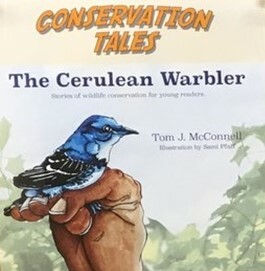 This Conservation Tales book focuses on the tale of the Cerulean Warbler, a small songbird endangered in Indiana and vulnerable in other states. The book’s author shadowed researchers at a scientific field site to create this book. The U.S. Geological Survey’s interactive water cycle shows the various stages, actors, and components of the water cycle. There are three different versions of this resource for various ages as well as several languages. The National Ground Water Association (NGWA) has put together two new videos that highlight potential paths for high school students interested in a geoscience career. The first video titled Groundwater Careers includes interviews with college students and professionals who discuss their field work, lab work, and passion for becoming an environmentalist. The second video titled Groundwater is Cool provides important facts, figures, and profound statistics about the world’s groundwater use and thus the need for groundwater professionals. This site, from the Water Education Foundation, provides graphics and text on topics including the water cycle, surface water vs. groundwater, the Earth’s water supply, and water conservation. Their mission is to create a better understanding of water issues and to help resolve water resource problems through educational programs. This U.S. Geological Survey’s (USGS) Water Science School website offers information on many aspects of water, along with pictures, data, maps, and an interactive center where you can share your opinions and test your water knowledge. This Word document list some great field guide resources you can use to enhance this activity. This guide provides the basic steps needed to restore and/or create wildlife habitat. It is designed so that students complete several tasks that will lead to establishing a forest, meadow, or wetland on school grounds. The projects can range in size from a small 20’ by 20’ area to an acre or more. These steps were developed from the experiences of several schools that have completed similar projects. The process incorporates critical thinking and decision-making skills while challenging students in reading, writing, science, mathematics, and language arts. You can download the entire PDF online for free from the US Fish & Wildlife Service Website. Safe Drinking Water Foundation (SDWF) Educational Materials offers many different hands-on drinking water kits, and more, that relate content to science, social studies, and math, investigating the topic from various perspectives to include economics, social, and health issues. This is a website that contains the web soil survey from the USDA. Free educational materials are available to help you celebrate World Wetlands Day (or celebrate Wetlands any day), sponsored by Ramsar Convention. Looking for questions to evaluate your students’ awareness of the world in which you live? Here are 30 Questions to help get you started. A free app that can be downloaded onto Apple and Andriod devices. A more technical application, SoilWeb allows users to access GPS based, real-time USDA-NRCS soil survey data. Using your geographic location, this app retrieves soil type summaries, including soil series names and image profiles. A free app that can be downloaded onto Apple and Android devices. AllTrails helps users to get out and discover the outdoors. Use it to plan a national park visit, find a hiking path near home, or map a new trail of your own! AllTrails can help you find local places to run, hike, bike, fish, and more in the outdoors. You can even upload photos and images to trails you create. This interactive water cycle diagram produced by the US Geological Survey and the United Nations allows you to “mouse around” the parts of the water cycle and view explanations, pictures, and more. Available for beginner, intermediate, and advanced students, the diagram introduces an increasing number of terms at each level. PDF and JPG versions of the diagrams are also available for download and printing. This Do-It-Yourself (DIY) Lake Science app developed by UC Berkley’s The Lawrence Hall of Science allows users to participate in and facilitate activities that teach about freshwater ecosystems. For example, families and educators have the opportunity to view videos and discover what lies beneath the surface with an “Under the Lake” simulation. The DIY Lake Science app is all inclusive – material lists, instructions, and explanations of how to participate in a day of exploring inside or outside are readily available and are displayed in a detailed and informational format. This app is free on iTunes, available for iOS 7 and above.